Our mission in the Worcester Public Schools is to provide all students the opportunity to advance their scholarship with a rigorous core curriculum and high quality instruction. This enables students to discover the expanse of their academic talents, shape the quality of their character, and develop the confidence to become conscientious, reflective citizens who are empowered to better our community and our world. For complete information visit the official Worcester Public Schools website. The City of Worcester Selection Committee for Polar Park has made a recommendation to the Worcester Redevelopment Authority that Gilbane-Hunt, a Joint Venture, be offered a contract as the Construction Manager for the project. 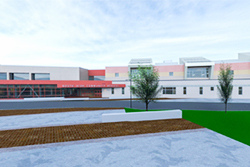 The building of a new, $210 million South High Community School is slated to finish by 2022. The South High replacement is anticipated to be about 40% larger than the existing school and boast a 750-seat auditorium, bakery/bistro and high tech science labs. The Night Life Division offers career technical training and lifelong learning at Worcester Technical High School. 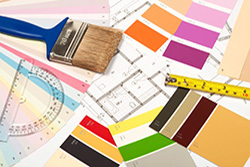 Courses and workshops are designed to meet the needs of employers, job seekers and lifelong learners. Worcester Public Schools operates the Night Life Division of Adult Continuing Education in partnership with MassHire and the Worcester Regional Chamber of Commerce. Worcester offers a wealth of educational opportunities for young people and is proud to have one of the strongest urban public school systems in the state. 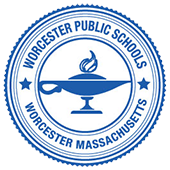 Worcester has numerous quality public elementary and secondary schools located throughout the City.